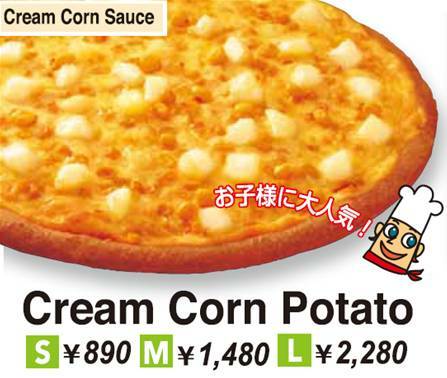 From creamed corn to prawns (lots of prawns), some toppings go way too far. Somewhere along pizza’s beautiful journey toward culinary glory, a road branched off in a very odd direction. While some chefs focused on getting just the right amount of char on their dough and using the highest quality mozzarella available, other pie-makers (mostly chains) were going completely nuts with their choice in toppings. The genre of gross-out pizza was born. We’re currently living in the golden age of over-the-top ‘za creations, where the once-sacred ground reserved for (at the very weirdest) anchovies or pineapple is now a completely blank canvas, ready to be dressed up with anything from wasabi mayo, to peaches and barbecue sauce. 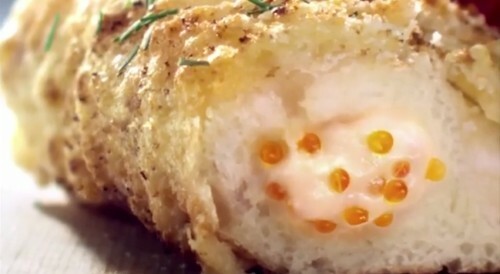 Primarily offered by inventive Pizza Hut outlets across Southeast Asia, these craziest pies seems to have no rules whatsoever, even going so far as to stuff hot dogs into the crust (a move that, rather distressingly, has now reached the U.S.). 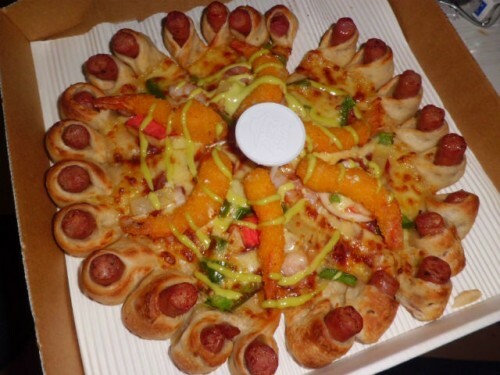 As much as we respect the creativity, a lot of these pizza looks straight-up disgusting. While the future will surely shock and dismay us all, here are 10 pies that will go down in pizza’s storied history as stepping stones on the road to the most ridiculous pizza of them all. 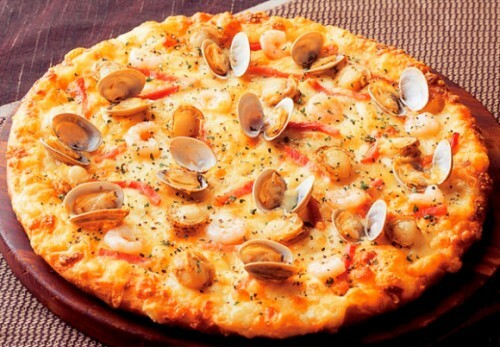 Pizza Hut has turned out a number of prawn-based pies for its Malaysian customer case, but the wacky trifecta of eggplant, cheesy stuffed crust, and prawns is worrisome. But hey—there’s always hope that the so-called “Atlantis Pizza” doesn’t actually exist in real life…just like the city of Atlantis. Crown Crust Carnival Pizza wasn’t as much a pie across the Middle East as it was something of a new-fangled, food mash-up revolution. 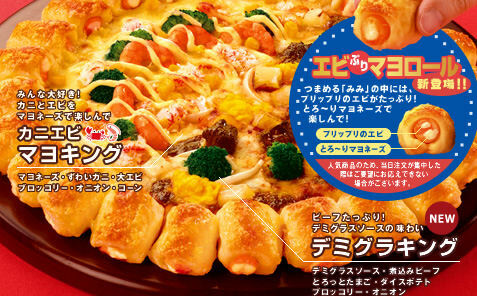 Like some songs that just shouldn’t be remixed together, the pizza offerings in this series include cheeseburger “crust” pizza, chicken tender “crust” pizza, and cream cheese and meatball “crust” pizza. This takes crust-shaming to a whole new level. 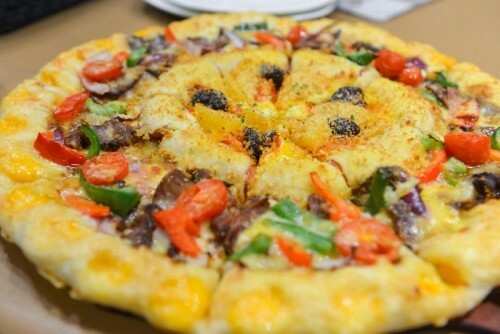 If you’re always looking for a way to eat your dessert and your dinner in one go, Pizza Hut Korea has you covered. Its 2014 “Star Edge Pizza” creation is shaped (roughly) like a ninja star, and combines shrimp, calamari, homemade sausage, bacon, and steak on a turnover-style crust filled with cranberry and cream cheese, or cinnamon apple nut and cream cheese.